As a filmmaker and photographer, David has worked in the media for several decades, across film, television, the arts, heritage and digital media. David became epileptic at the age of 14, which, he says, led to him being excluded from school and taking up work in a factory. Growing up on a council estate as part of a large working-class family, his interest in class and identity politics was ignited early. However, his introduction to disability arts came via a chance encounter with the poet Allan Sutherland, who was performing poetry in Covent Garden about his experiences of living with epilepsy. This set the course of David’s career, and he has been using art and the media as a vehicle for social change ever since, producing work which challenges the perceptions of those living on the margins of society. In the 1990s, David worked for the BBC’s Disability Programs Unit, during which he produced the landmark history series The Disabled Century (1997). He also directed three films for the acclaimed BBC series, Modern Times, and has written, produced and presented on a number of other programs. 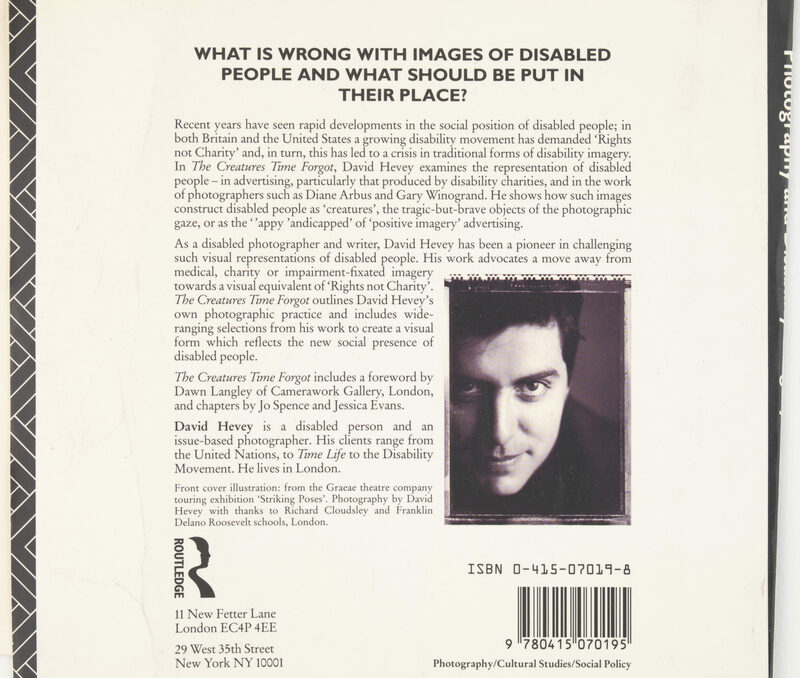 He is the author of The Creatures Time Forgot: Photography and Disability Imagery, which explores the representation of disabled people in the media, and has sold thousands of copies since its publication in 1997. A selection of his photography campaigns were included in the 2006 publication, ‘Photography: A Cultural History’, and David continues to deliver a number of cross-media projects with major funders, which has recently included: The Barriers Odyssey, Tina and the Death of Hope in Grim Britain (Arts Council England), and Who Has the Power in Your Care? (Joseph Rowntree Foundation).